Gillian Bellaver's family is one of the wealthiest in the world. Robin Sandza's father Peter is a government assassin. The two teenagers seem to have nothing in common. Yet they are spiritual twins, possessing a horrifying psychic energy that threatens humanity. While dangerous and fanatical men vie for the secrets of their awesome power, Peter Sandza, using all the ruthless skills of his trade, makes a final desperate effort to save them. Exploring with extraordinary skill the myths and legends deeply rooted in the subconscious mind, this novel builds, scene by shocking scene, to a night of chilling horror that surpasses anything you've ever experienced . 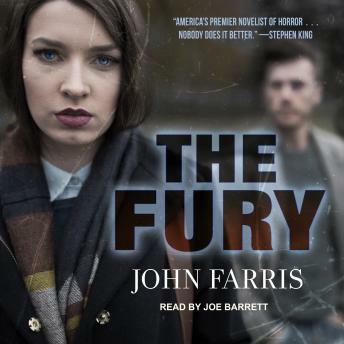 . .
First published in 1976 and made into a successful movie written by the author and directed by Brian De Palma in 1978, The Fury is one of the all-time classics of the horror genre.